Right from the start, I knew Jess & Joe would be a pleasure to work for, they made every effort to make me & my second shooter feel welcome. 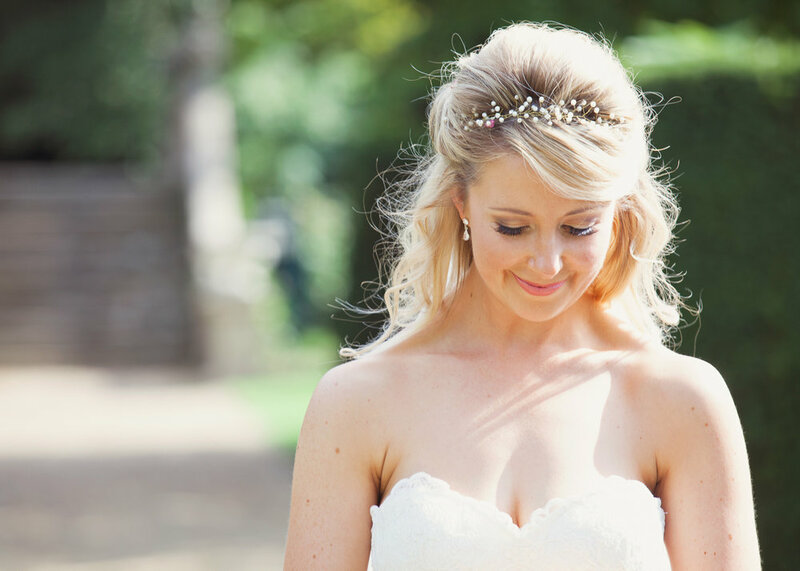 I was quite excited about this wedding, a golden opportunity as a photographer to work at the famous Pinewood Studio grounds, where some of the greatest films have been produced. Heatherden Hall is a stunning Georgian Manor house with manicured gardens, nestled at the heart of Pinewood Studios. Jess looked stunning in her dress, which she partly designed herself. 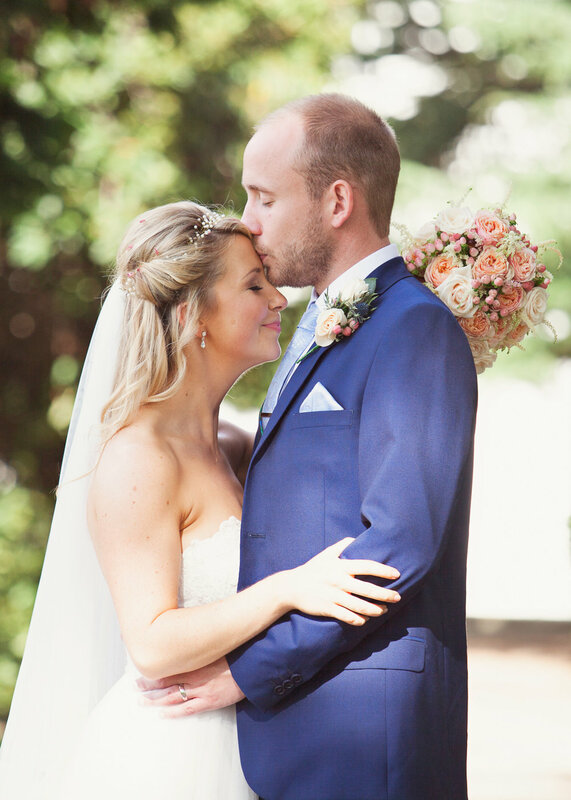 Hair & make up was by Kate Pope, and Jess's pretty pastel pink rose bouquet was made by her aunty. 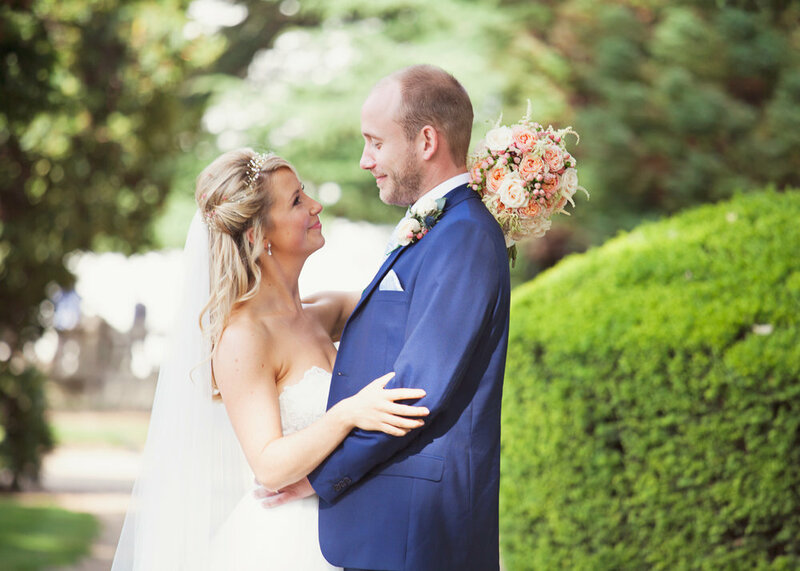 Jess & Joe enjoyed a perfect summer's day with all their guests, they got married at a beautiful church in Windsor, and then enjoyed a delicious wedding breakfast & fantastic reception at Heatherden Hall. Their first dance was to Mumford & Son's 'I will wait'... these two have got some awesome moves - Joe twirled Jess all around the dance floor, it was like a scene from Strictly Come Dancing. The rest of their guests all joined in & they danced the night away (highly recommend their DJ - Lovelight Entertainment)... the floor was jumping with so many of their guests cutting loose on the dance floor, the atmosphere really was sensational.